Should you use a temporary warehousing? The company "PROFTRANS" glad to see you on my site!! All modes of transport will be possible for you to work with us. We have no exceptions, regardless of the claimed amount and nature of your transportation, we are happy to take up the rendering rate. You can always count on the fact that the transport through the territory of the Russian Federation, we will provide you with professional service, whether it be: rail carload shipment, container, automotive transportation. Depending on the wishes of the company "PROFTRANS" will either try to find the cheapest shipping method, or the fastest. Of course, we are an experienced organization - so it's always ready for dialogue with the client. For transportation within Russia a major role, in our opinion, is the choice of transport. 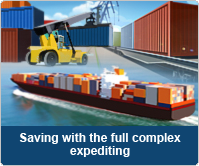 It happens that the client has no idea that what we rail routes to road wins, and container sent accelerate the delivery of the goods. 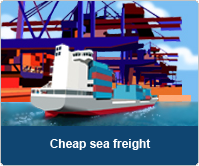 In what ways, then, we can cooperate different types of transport and make the combination, auto - rail shipping. Be sure! We are always FREE and advise you on the best option. We do not suggest that what is not sure!! Our prices across the board are the lowest. We appreciate not save a penny, and professional conduct of its affairs. With us, you'll be assured of our agreements. 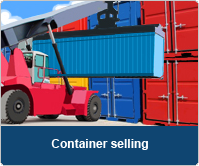 Further, we offer details to meet our information on rail carload, rail containers, automobile shipments.